Turmeric has been given the crown of glory, the gem of all gems, a magic wand status if you will when it comes to treating everything from inflammation to gastrointestinal disorders, adding it to popcorn, cereals, smoothies, casseroles and more. But how does it measure up? 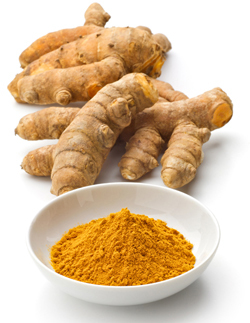 There are many turmeric capsules on the market today that contain formulas which include therapeutic doses of curcumin. But the manufacturers of these supplements warn that taking too high a dose could cause unpleasant side effects such as nausea, diarrhea, increased risk of bleeding, an increase in liver function tests, hyperactive gallbladder contractions, hypotension (lowered blood pressure), uterine contractions in pregnant women, and increased menstrual flow. As with any product of this kind, we recommend that you check with your physician before starting it.